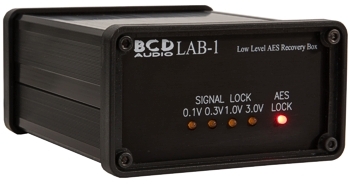 The LAB-1 is used to extend the cable run of an AES3 signal. Use at the output of a long, troublesome cable. Extends AES3 balanced 110R cable from 100metres up to approximately 400metre usable range.